We want quick fixes for what’s bothering us. A fast diet that will make us instantly fit or a 3-minute meal that will feed our entire family. Rarely is there a truly easy solution. Often there isn’t a clear or easy reason for the original problem either. 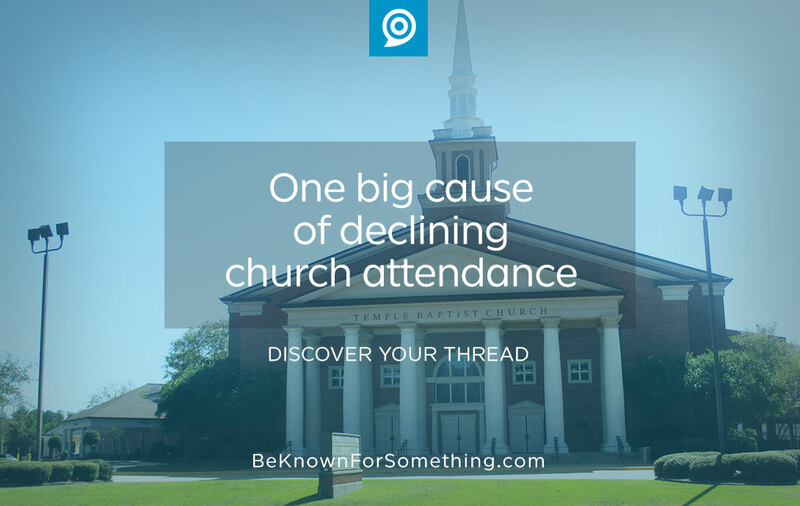 The church attendance dilemma is an issue that doesn’t have an easy solution or an easy explanation. As a Church Communicator consultant, I’ve identified a foundational reason for declining church attendance. No wonder why most churches are in stagnation or decline even though virtually every church talks about their amazing growth at one time or another. What’s the big difference? Audience. Whether they attend your church or are in your community’s reach area (physically or digitally), they have needs, concerns, and goals. 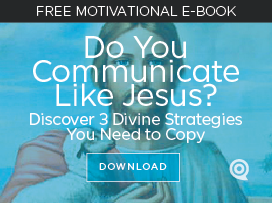 Sure, we know they need the Gospel, but for many, it’s simply not on their radar. It’s up to you as a Church to relate the Gospel to what they’re looking for. Programs. How churches engage with their audience. Their programs and services must become a path to the community’s goals or solutions to their needs or concerns. The Problem. When a church program was established, it was usually in direct response to the audience’s desire for something. It served a purpose! 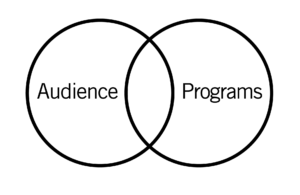 Of course, each program isn’t perfect for everyone, but it needs to overlap enough people (see circles graphic) or the program will fail because of lack of interest. On your local church level, each program needs to be assessed regularly in order to ensure that it is doing what it was originally intended to do: meet needs. The success of a church is directly related to how much overlap there is. Many churches have had these circles drifting apart for years and they wonder why attendance is dropping! Solution. If attendance starts to falter in a program, consider the reason. Either your audience has changed or your program needs to. When a church provides solutions to a community or paths to their goals, attendance increases. Many of our churches still produce programs even though the community lost interest in them a long time ago. Let’s change that. And let’s make sure that every program we have directly points to the Gospel. When we make that “turn” to Jesus, we do as we are called in the great commission!